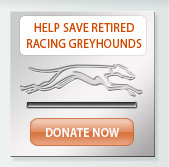 On October 17, 2011, we were presented with a 10-year-old male greyhound who had just been seen at the University of Pennsylvania to have a test done. The test did not require an anesthesia protocol whatsoever but, due to anxiety, the dogs temperature rose to over 103°. The adopter had also told us that shortly before that, she had the dog in her vet's office and while awaiting anesthesia protocol in the backroom, the dog's temperature rose to over 106°. 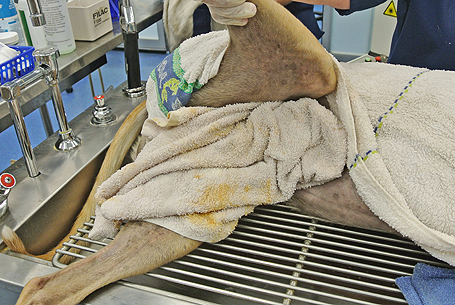 The veterinarian took steps to reduce the dogs temperature but decided against the procedure for fear that the dog might go into malignant hyperthermia. This particular dog needed a dental and it was uncertain whether extractions would need to be done. We took the dog's temperature in the waiting room and it was 102.4°. 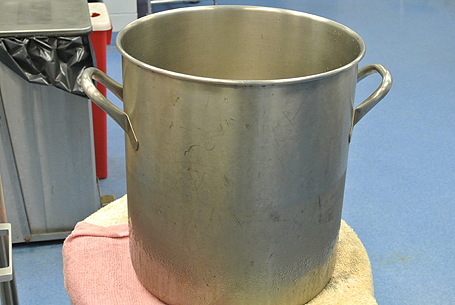 We did all of the preparation necessary for a standard dental and temperature monitoring while under anesthesia. 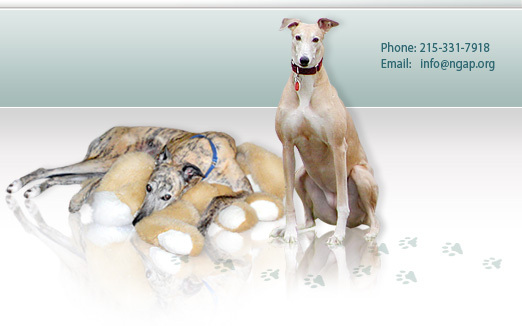 The owner walked the dog into the surgical area, along with the dog's greyhound companion, and anesthetized the dog while the two were with him with a Dexdomitor/Torbugesic combination. 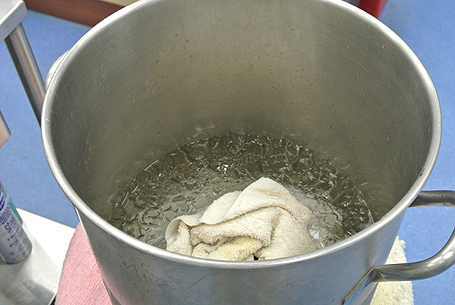 Immediately upon placing the dog on the prep table, we placed a towel that had been soaking in a bucket of ice water over the dog. 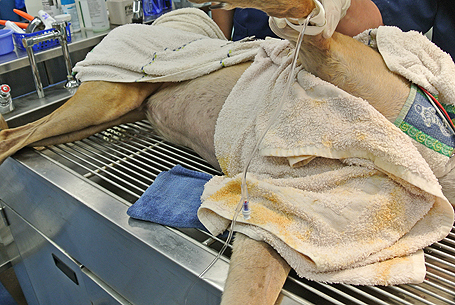 We immediately started intravenous fluids and began the dental procedure. 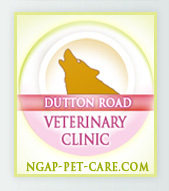 The procedure included a dental cleaning, dental polishing, the lasering of inflamed gum tissue, ear clipping and nail clipping. The procedure took approximately 20 minutes. We took the dog's temperature approximately every 4 minutes. 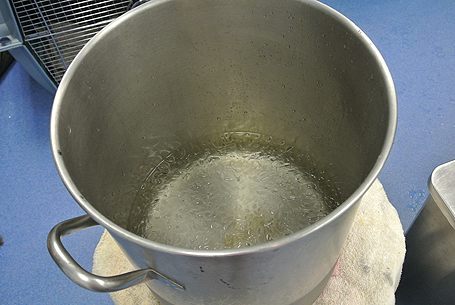 The highest temperature that we recorded was 102.7° and the lowest was 99°. We reversed the anesthesia with Antisedan and laid the dog on the floor to awaken, covered with a cold tail. Once he was awake and on his feet, we walked the dog out to his owner in the waiting room, laid the dog on a carpet on the floor and once again covered him with a cold towel. 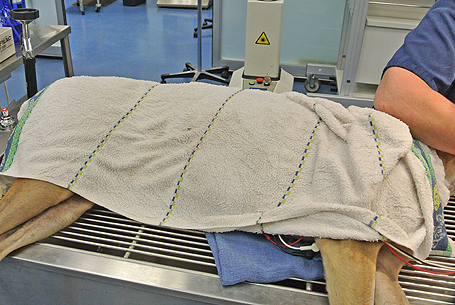 The dog remained in that position for a considerable period of time while we continued to monitor his temperature. At no point did the dog's temperature ever reach 103°. 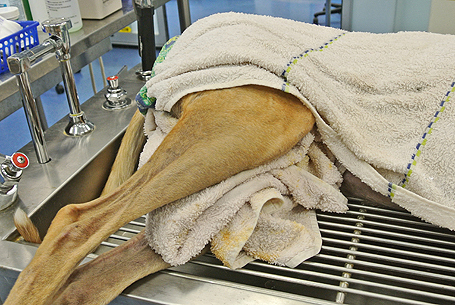 The dog recovered normally but use of the above procedure, using cold towels and close monitoring of body temperature, was critical in eliminating a potentially fatal reaction.